René Rostaing’s cellars are renowned for being among the coldest so when we visit we like to keep the pace up, before the cold penetrates tired feet. His benchmark Côte-Rôtie, from 13 assorted plots in his care, and now firmly known as Ampodium rather than its previous label ‘’Classique’’, is always a pleasure to taste. The 2012 has a fine crisp character, leading on to well-defined threads carrying the pure fruit through to a long, firm, assured finish. A classic Côte-Rôtie, which will develop beautifully into the late 2020s; and for a very respectable price. The Ampodium is sourced from 13 parcels, with an average vine age of 40 years and half of 2012’s crop destemmed. Exhibiting aromas of violet and bacon rind, then classic Rostaing grip, this is the appellation’s exemplar. After 42 vintages, M Rostaing is clearly in control of his brief; there is just enough tension here and finely etched tannins on the finish. 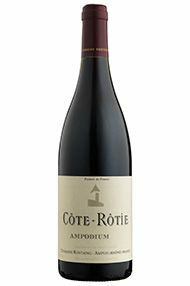 The Wine Advocate - Starting with Rene's classic Cote Rotie, the 2012 Cote Rotie Ampodium is a mostly destemmed blend from Rene's 13 different terroirs. It's aged in a combination of demi-muid and older barrels, with just 5% being new. 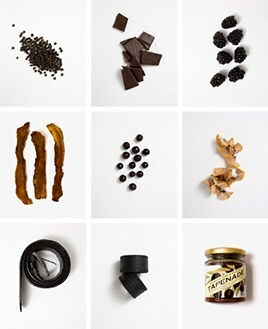 It's smoking base cuvee that does everything right, offering up tons of sweet blackberry, wild herbs, pepper, spice and olive aromas and flavors. Full-bodied, beautifully textured and with impressive concentration, all while stay classic and elegant, it's a no-brainer purchase and will have 15-20 years of longevity. 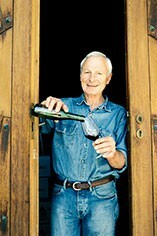 Jancis - Inviting and slightly stemmy dark fruit. Fragrant herbal note that some might not like but I find it more fragrant than herbaceous. Very Rostaing. Charming.